The educator's standard for listening centers, ELL, ELD and other language learning activities. 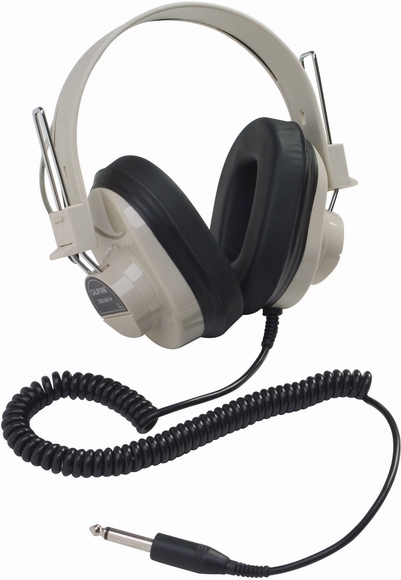 The Califone 2924AVP Deluxe Monoaural Headphone is a longstanding teacher favorite (and student-tested) classroom headphone ideal for language labs, computer labs and libraries. Rugged plastic headband is adjustable to fit students of all sizes. Ambient noise-reducing earcups help block out external sounds so that the headphone volume level does not need to be as high, helping to protect student hearing. Earcups also featuer slotted baffles to help prevent access to the inner speakers, protecting them from accidental puncture and prying fingers. 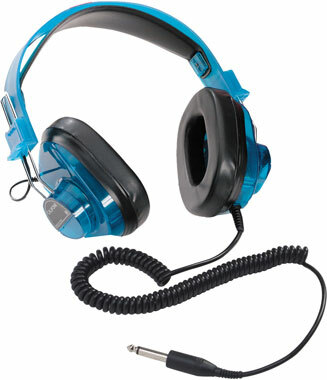 Permanently attached 6ft coiled cord with monoaural 1/4" plug makes it a versatile classroom, language lab, or library headphone. Replaceable, cleanable vinyl ear cushions are ideal for maintaining a sanitary classroom for multiple users.